The Global Footprint Network is an independent, charitable not-for-profit organization research institute based in the United States, Belgium and Switzerland. 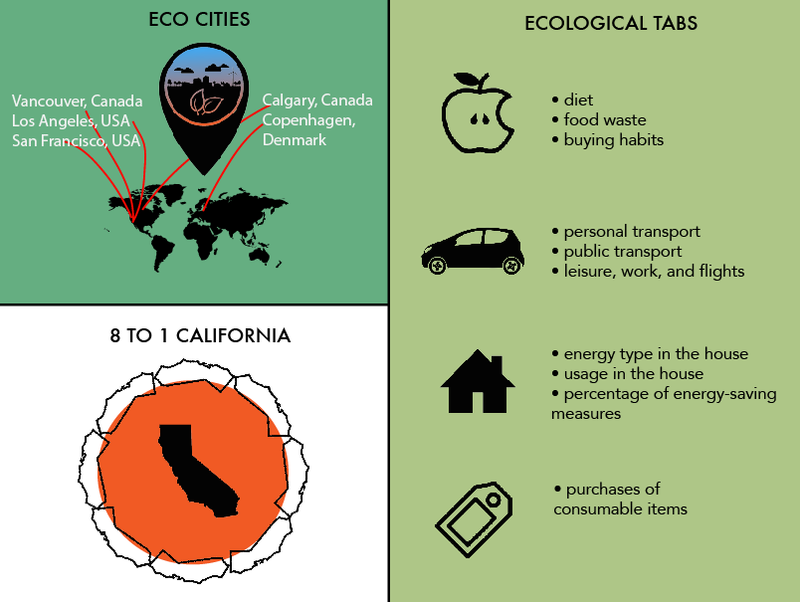 GFN develops and promotes tools for advancing sustainability, including Ecological Footprints and Biocapacity, which measure the amount of resources we use and how much we have. These tools aim at bringing ecological limits to the center of global decision-making. UX Team needs to redesign the calculator to be an interactive smartphone app with social media integration. 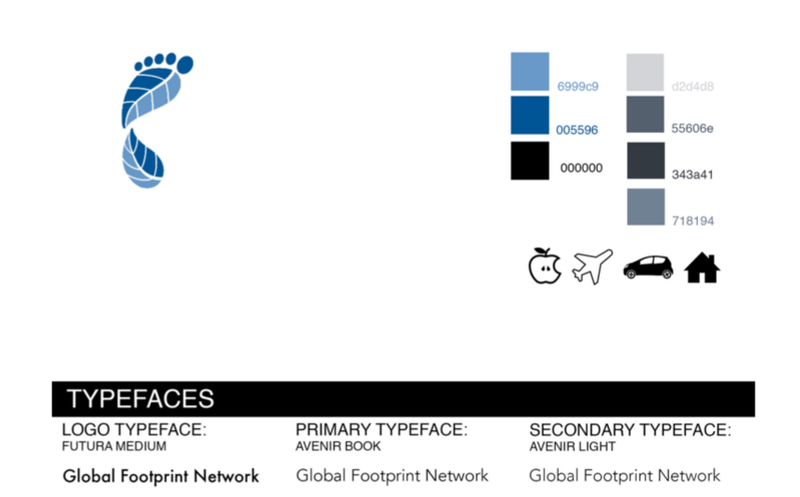 MY ROLE Research, Infographics, User Personas, Wireframes, UI Library, & "Eco Hacks"
The Global Footprint Network has a “Footprint Calculator” that determines your ecological footprint based on a questionnaire. Currently the calculator is in the form of a web-based Flash animation. Crystal Chen • Research, Information Architecture, Wireframes, & "Eco Facts"
their website is not the friendliest user experience. 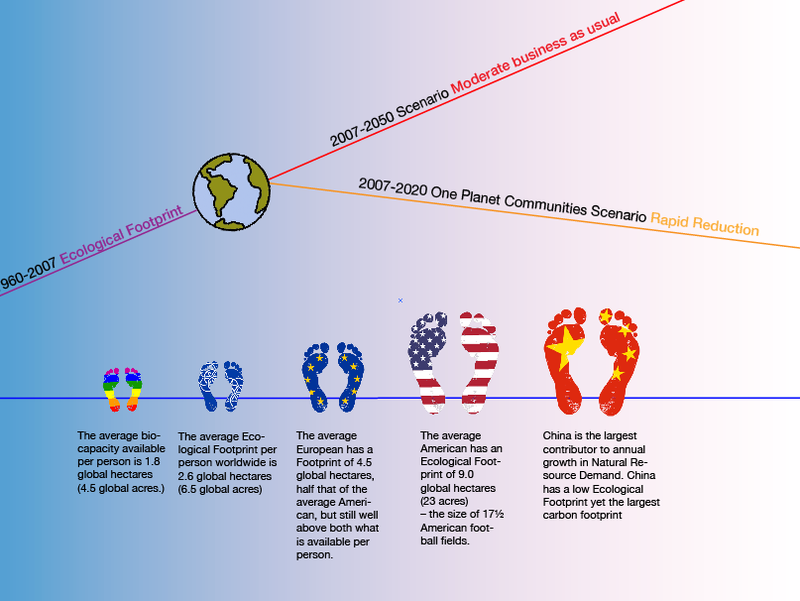 Currently, to measure your ecological footprint, you have to follow an animated augmentation while answering a questionnaire on habits of your lifestyle. It was a really different way to fill out a form. The biggest problem was that this augmented world/calculator ran on Flash. We user tested the current GFN site to counter our initial heuristic evaluations. Overall we got really mixed reviews from users and essentially they didn't like it. Most importantly, they didn't learn how to change their lifestyle. The greatest challenge of this project was to rapidly learn about climate change, a complicated and heated (pun intended) issue that most of the world doesn't understand. We also had to condense this knowledge & terminology into an interactive & effective mobile application. Firstly, we identified our range of users. We needed to find people whose lifestyles where on opposite ends of the "going-green" spectrum. From here we were ready to begin wireframing. 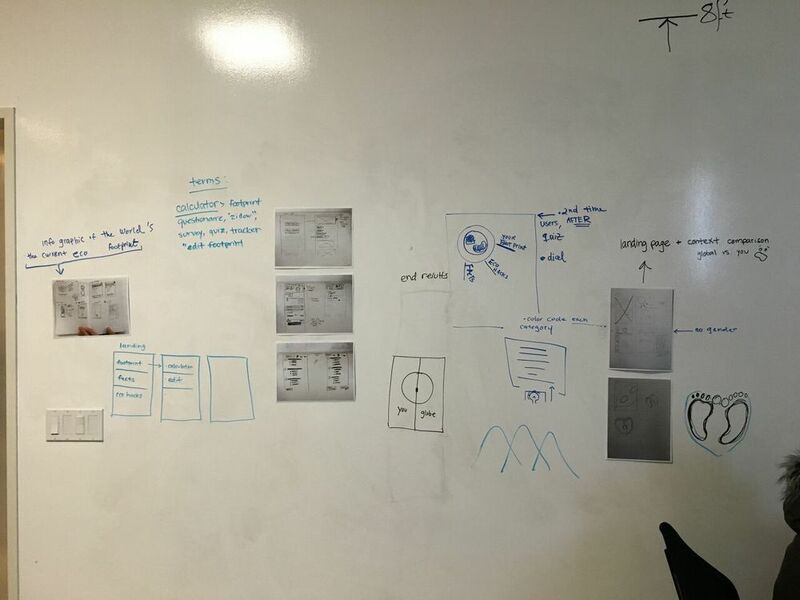 Lean UX helped us complete iterations of lo-fi wireframes, followed by guerilla testing. My team broke up tasks to divide and conquer.